As some of you may know running a blog and other side projects can be a little expensive so to help fund all this I decided to start a service that is not only fun for me but all so gives you something great. That service is offering you a custom made computer build for exactly what you want. The way it works is simple, fill out the form below or follow thislink. Provide me with some contact information and some basic info about your new computer and I will contact you about some of the finer details. That's it your part is done and my work starts. I will then order the parts, build the computer and set it up and install software if you would like. After that I will ship it out to you in your preferred method. 3. 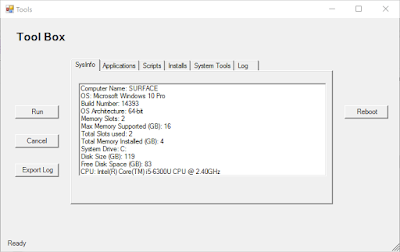 Added a Tab for RSAT tools, The tab will only show if RSAT tools are installed on the computer you are running the Tool Box from. 4/25/17 - Version 2.1.1.31. Added color to the main window and buttons 2. Created a tab for RSAT Tools (You will only see the tab if you have the tools installed on the computer) 3. Added Shutdown and Reboot Buttons to the main window 4. Added some code to the script to lay foundation for a export software button. There are a lot of ISO burning tools out there and some work but some have issues with specific ISO files so I decided to make my own using powershell. 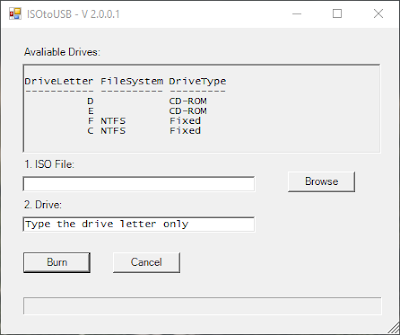 To use it you simply browse to your ISO file then type in the driver letter you want the ISO to be burnt to. 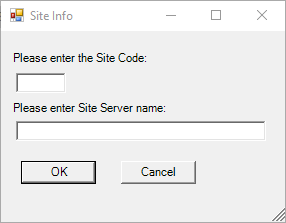 There will be times that you will only have the option to use a exe and not a MSI to build an application. 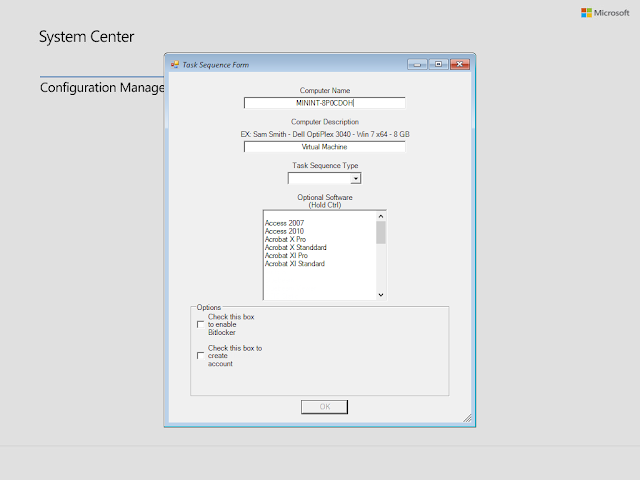 Normally that's not a problem but then halfway through building the application you realizes you have no idea what to use for a detection method since when you use a MSI SCCM will import that information for you. 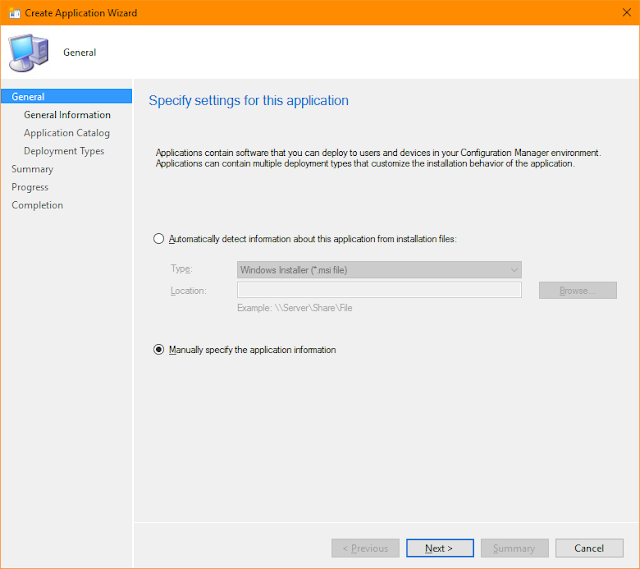 That is where this script is very handy for a SCCM admin what I do is install the software manually then run this script to get the Software ID number since that is one of the cleanest ways for SCCM to detect an application. Some time a go I had put together a series of bat files that where designed to launch and log different tools and scripts that you may have to help you work on a PC but it wasn't very customisable and it was very large, This is my current revision of that tool using PowerShell and a singe bat file to run it. I will update this as I add more to it.